Desperado, why don't you come to your senses ? Don't your feet get cold in the winter time ? 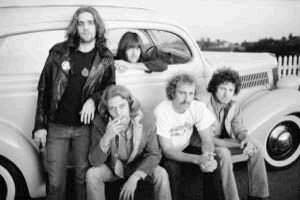 Eagles are an American rock band that was formed in Los Angeles, California in 1971. Currently consisting of vocalist/drummer Don Henley, vocalist/guitarist Glenn Frey, guitarist/vocalist Joe Walsh and bassist/vocalist Timothy B. Schmit, the band had five Number 1 singles and six Number 1 albums. the Eagles were one of the most successful recording artists of the 1970s. The Eagles' album, Their Greatest Hits 1971-1975 was named as the best-selling album of the 20th Century with 26 million sold, and... .